← Get my cook on! Salmon curry rub. Israel Vibration, Inner Circle, Mighty Diamonds. Jamaica celebrates 50 years of independence. 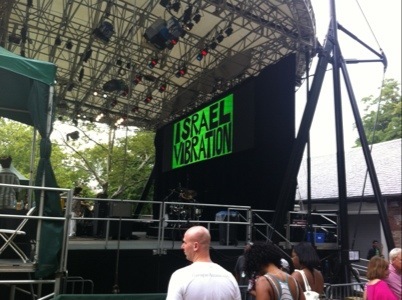 I’m backstage VIP-style with the fam at Central Park, listening to Israel Vibration rip the stage down. The concert is part of Summer Stage, the free summer-long concert series. Today’s show is special because it commemorates the 50th anniversary of Jamaica’s independence. You have no idea what it’s like standing a few feet from reggae royalty. If you don’t know who Israel Vibration is, I feel sorry for you. They’re only one of the most storied groups in reggae music. And I’m backstage with them – not right this moment – they’re performing on stage right right now – but you know what I’m saying! I’m chilling with members of Inner Circle and Israel Vibration and I’m in heaven. I can OD on reggae. Which is probably why my side hustle involves promoting reggae bands. I’m keeping this post super-short cause I’m missing the music. Central Park. 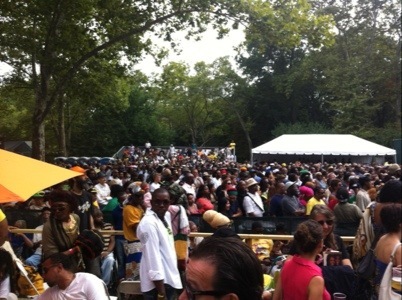 SummerStage. Good music. Free.